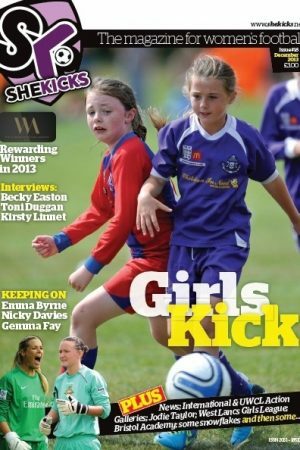 The launch issue of She Kicks includes an interview with England’s Eniola Aluko; Glasgow City’s Leeanne Campbell; Scottish boss Anna Signeul; Liverpool’s Cheryl Foster; UNC and England U19s’ Lucy Bronze; Street Striker winner Ashleigh Goddard; England and Champions League action; our Festive Fitness Guide and other fun bits and pieces. Buy it here now. 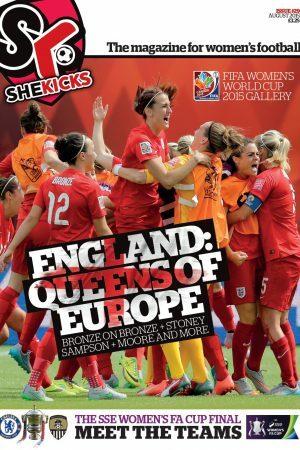 A4, full colour, 40 pages. Or call 01914421001 for bulk purchases of 5 or more.